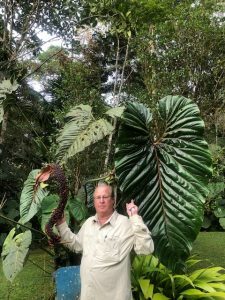 Notes: An anthurium you have to see to believe – gigantic heart shaped leaves that could wrap a grown person up like a burrito, with some forms bearing color in the veins. One of the most sought after members of the famous genus, available now in limited quantities. 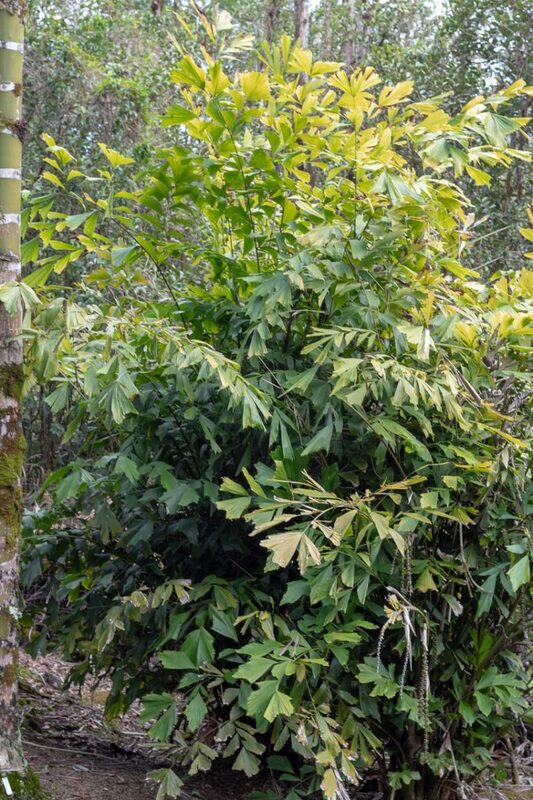 Notes: A rare miniature understory species from the forests of Madagascar, clustering with a compact crown of bifid leaves. 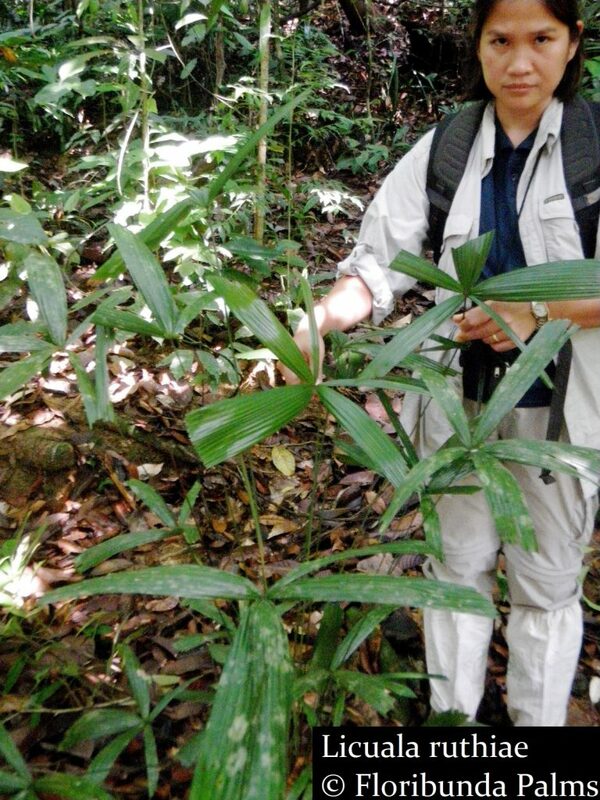 Notes: Recently described species from Laos/Vietnam that has even more recently been split from the genus Licuala, this clustering palm can eventually reach a height of 5m with numerous equal leaflets in its circular fronds. Limited quantities. 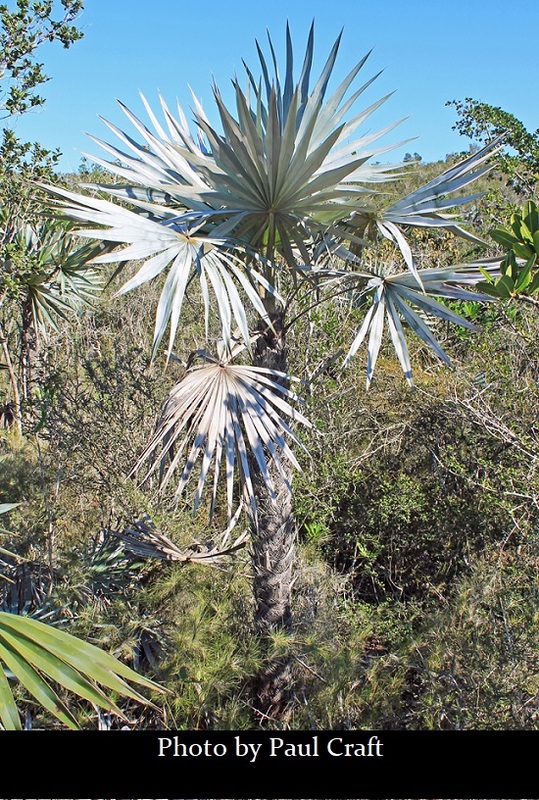 Notes: Rarely cultivated clustering Caryota with huge landscape potential due to its smaller stature than the skyscraper members of the genus. 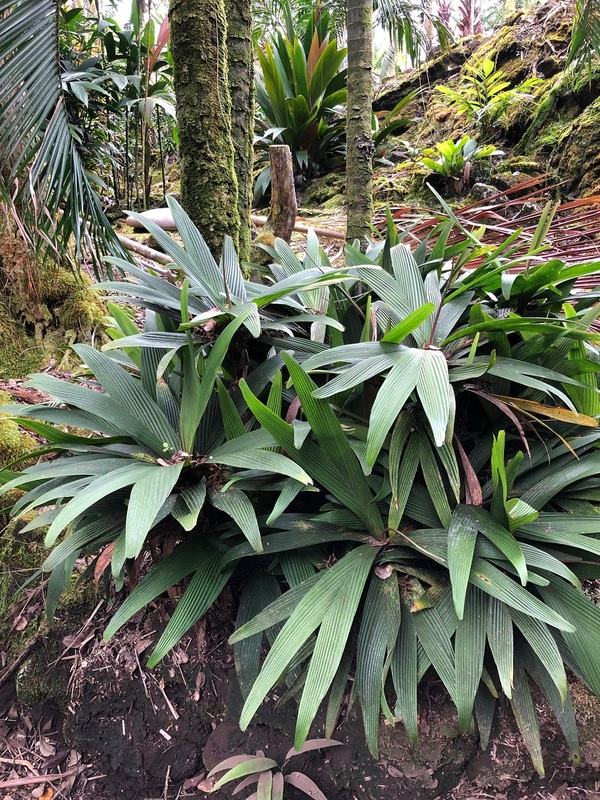 Named for its inflorescence, which emerges in a single spike. 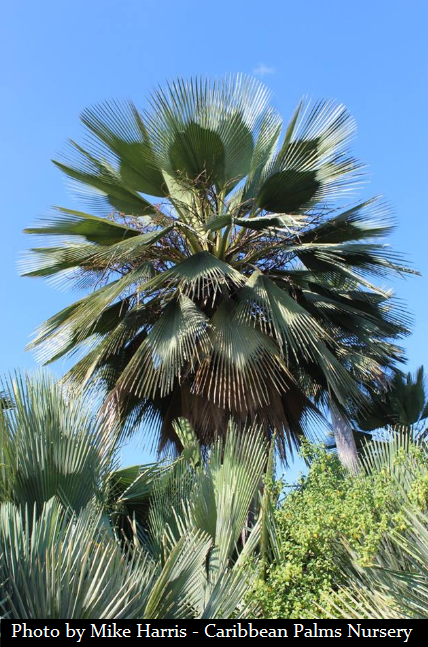 Notes: One of the most spectacular palms in an already awe inspiring genus of Cuban and Caribbean palms. 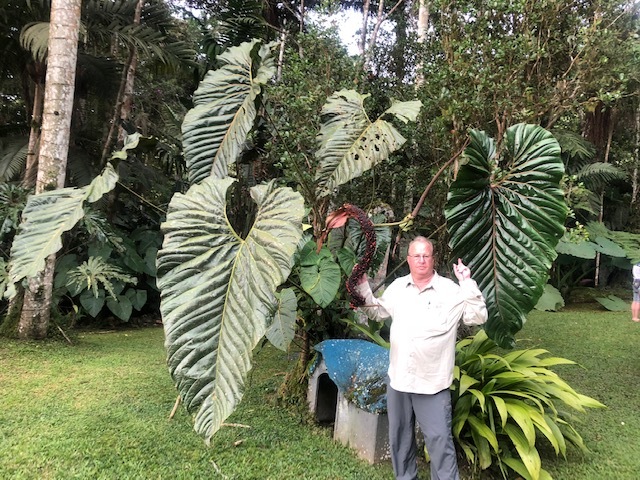 Robust palm with amazing silver leaves makes a spectacular specimen for tropical and subtropical gardens. Thank you to Mike Harris for use of these habitat photos. Notes: Very rare Licuala from the Malay Peninsula, related to Licuala triphylla and similar in its diminutive stature and compact inflorescence, but has a semi-orbicular leaf shape with wider leaflets. 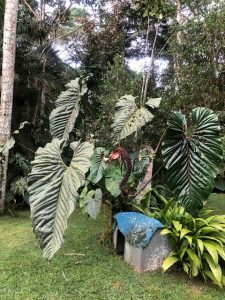 Notes: A spellbinding species from Cuba with some of the most ornamental silvery blue fan leaves you will ever see. Needs lots of light and a frost free climate. Thank you to Paul Craft for use of these habitat photos. 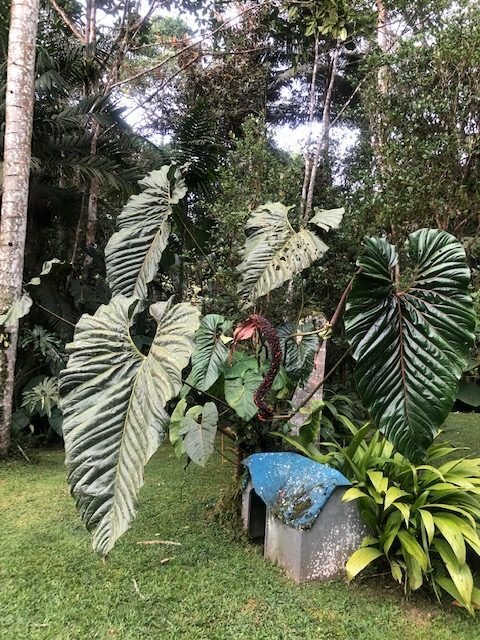 Plants will be removed from this page once inventory has been sold, and may not be available again for a long time, if ever. 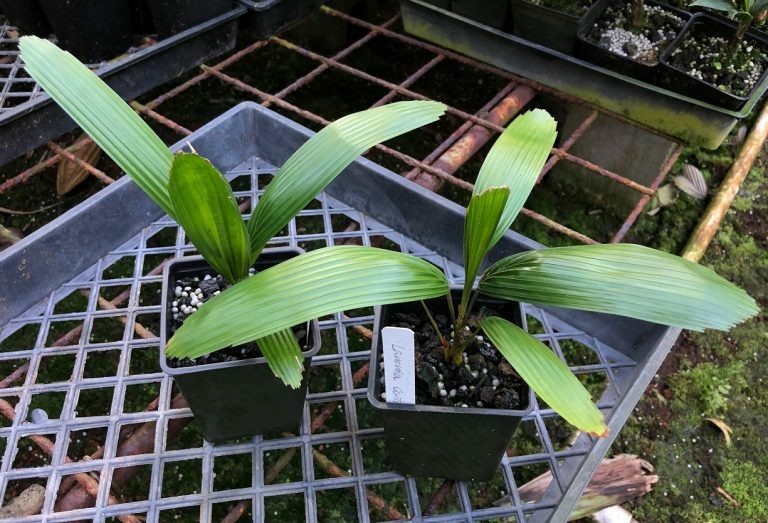 New plants will be added as they become available so check back often or join our mailing list to get the latest updates.